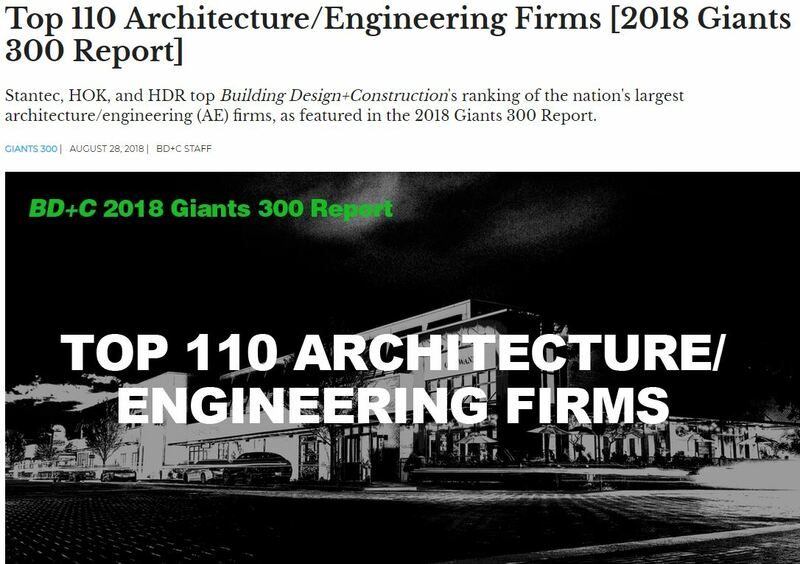 Every year Building Design and Construction – Giants 300 Report publishes the annual findings of top architectural and engineering firms in the nation. This year TK Architects is featured in the Building Design and Construction Giants 300 List of 2018 as one of the top rated Architectural and Engineering Firms in the nation. It placed as #105 with its 7,291,334 in 2017 revenues. The complete list of 300 A/E Giants is available online or in August 2018 issue of Building Design+Construction: VIEW HERE.